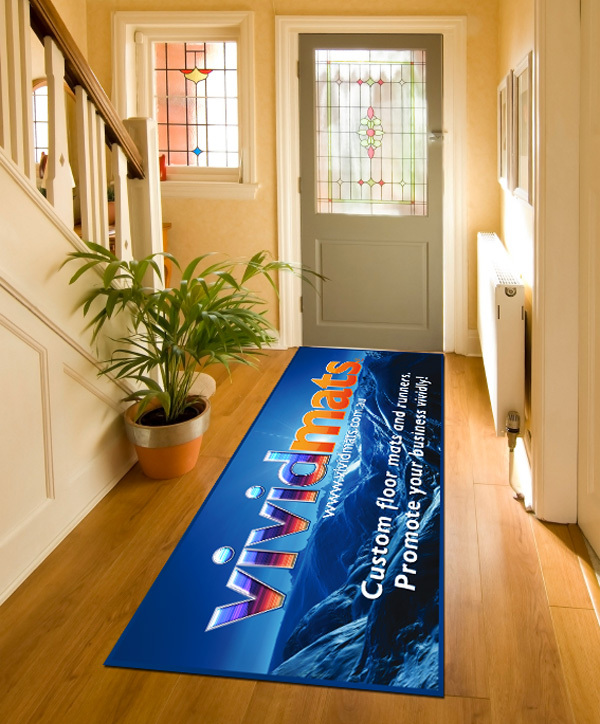 VividMats™, the latest edition to our existing 'one stop shop' product range. VividMats™ come in standard sizes of 650mm x 900mm for the Mats & 950mm x 2000mm for the Runners. Custom floor mats and runners that can have any image, any colour, any message, any size with a choice of finishes and colour for the edges! VividMats™ are great for custom branding, promotions and point of sale advertisements.